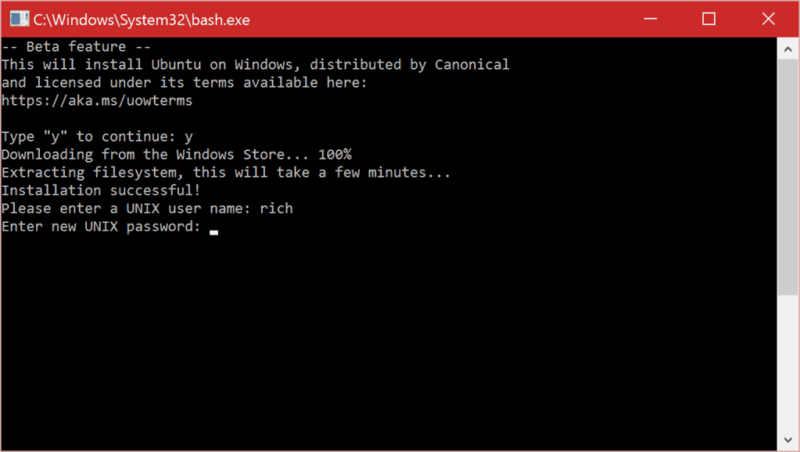 This is the first release of Bash on Windows and it is branded “beta” deliberately – it’s not yet complete! You should expect many things to work and for some things to fail! We greatly appreciate you using Bash on Windows and helping us identify the issues we need to fix in order to deliver a great experience. Your PC must be running (at a minimum) a 64-bit version of Windows 10 with the Anniversary Update. The Creator’s Update is recommended. 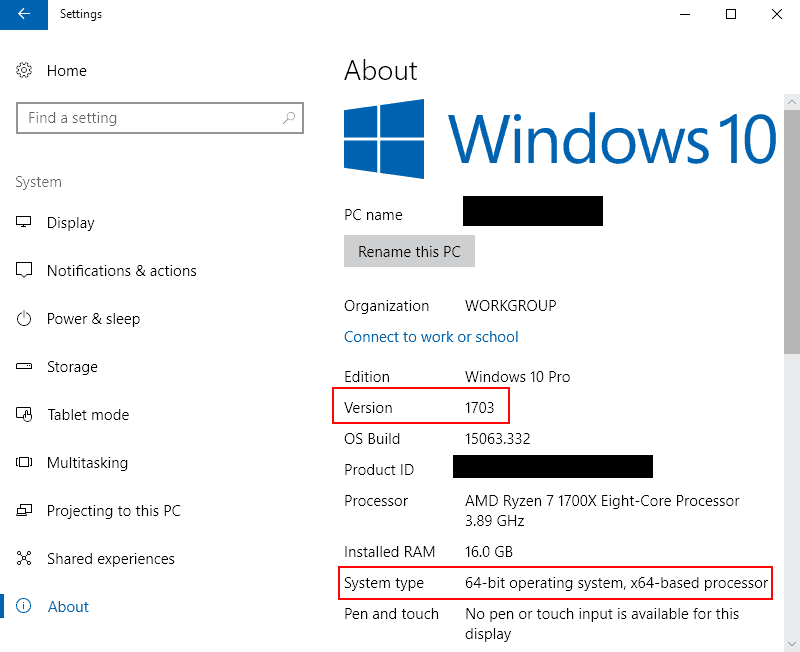 To find your PC’s CPU architecture and Windows version/build number, open Settings>System>About. Look for the System Type and Version fields respectively, as shown in the screenshot below. If your build is below 14393, try checking for updates. You can enable the feature using a GUI or command-line interface. It is important that you DO restart when prompted as some of the infrastructure which Bash on Windows requires can only be loaded during Windows’ boot-up sequence. After you have accepted the license, the Ubuntu user mode image will be downloaded, and a “Bash on Ubuntu on Windows” shortcut will be added to your Start Menu. To launch Bash on Ubuntu Windows, either run bash at a cmd/PowerShell command prompt, or use the Start Menu shortcut. 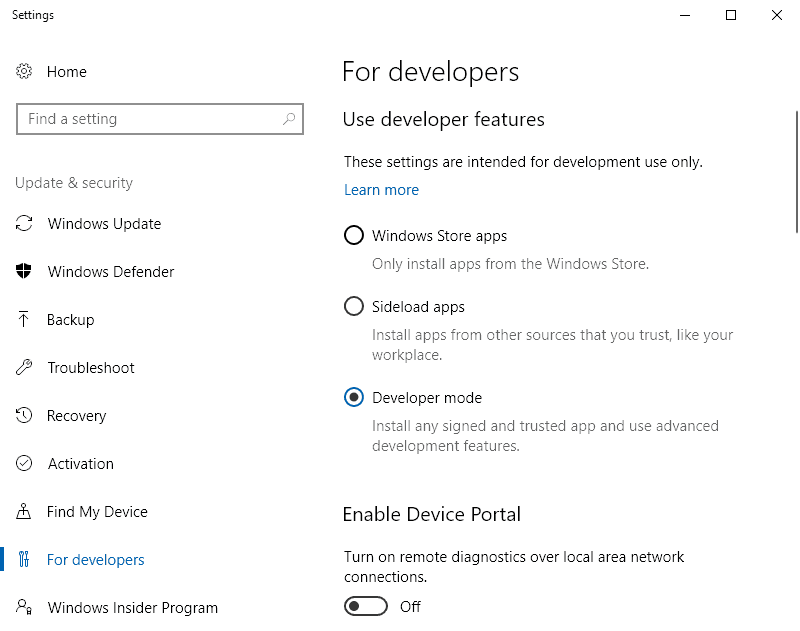 Avoid creating and/or modifying files in this location using Windows tools and apps! If you do, it is likely that your Linux files will be corrupted and data loss may occur. Please read this blog post for more information. 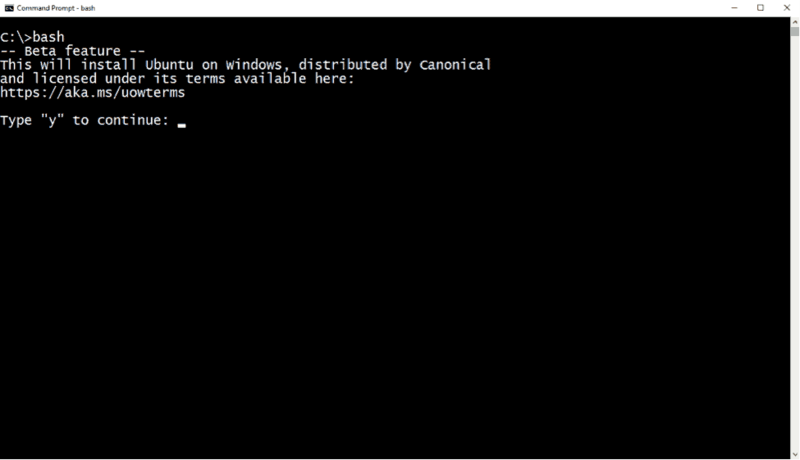 The first time you install Bash on Ubuntu on Windows, you will be prompted to create a UNIX username and password. This UNIX username and password has no relationship to your Windows username and password, and it can be different. Use the same username that you use on remote Linux/UNIX systems, so you won’t need to specify it in individual configuration files, or every time you run commands like ssh. Read more. After you have set up your user, update Ubuntu. In order to run graphical Linux applications, you’ll need an X server. 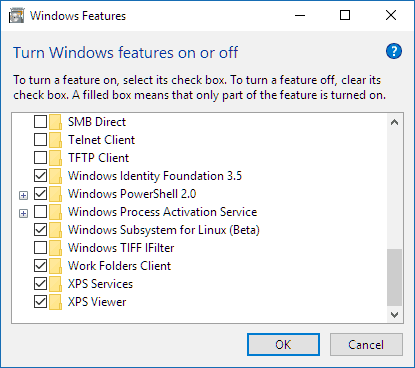 VcXsrv is the only fully open source and up-do-date native X server for windows. You may receive a prompt to allow it through your firewall. Cancel/deny this request! Otherwise, other computers on your network could access the server. A X icon will appear in your system tray. 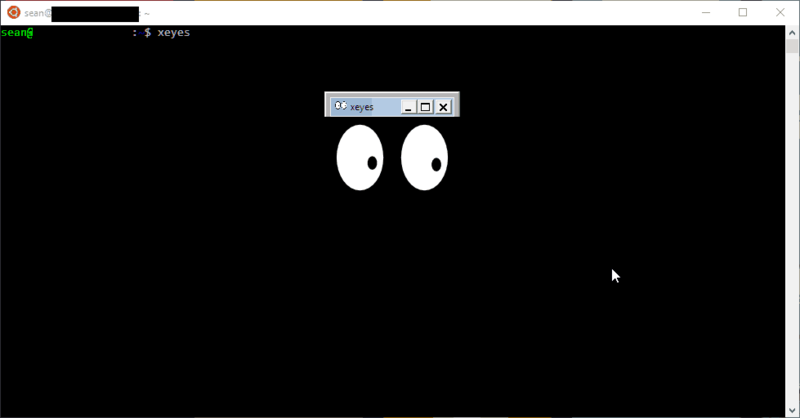 A new window will open, containing a pair of eyes that will follow your mouse movements. Warning: Locale not supported by X, falling back to ‘C’ locale. Great article. I was actually looking for way to plot octave graphs in nice separate windows instead of the terminal. This solution is much more general that what I was searching for. This worked like a charm for tkinter, thanks! Worked great for X forwarding from a Linux machine to Windows over SSH. Thank you very much. i forget password, how to change? Worked perfectly — thanks so much! Hi I am trying to open graphical softwares over SSH. It works locally however when I try to connect to another server I get “Error: can’t open display: localhost:0.0”. Is there ant way to solve that? When connecting to the remote server, be sure to add the -X switch to the ssh command. Worked like a charm on my Windows 10. Boom! It works! Windows 10 April 2018 Update! Works well ! Thank you! Hi when I am trying to open gedit it is showing Unable to init server: could not connect: Connection refused. The Ubuntu Graphics Applications run in VCXsrv windows but I cannot see the mouse. It disappears and not shown when hover within the VcXsrv window. I can see numerics chaing within my application which suggests the mouse is recognised. How do I get my miuse to be displayed within the X Window ? This works well up to displaying X based Apps under Windows 10 Ubuntu. But I cannot see my mouse pointer within the X Windows graphics. How do I make my Mouse visible ? New to Windows 10 Pro and Ubuntu 18.04 LTS (but not to *nix, via MacOSX). Reinstalled Win10 and Ubuntu a couple of times trying to get a GUI working in WSL. Turns out, what one needs is this list of steps. Had Ubuntu installed, WSL set, VcXsrv installed, even the DISPLAY command added, but still no GUI. It really helps to set Developer mode. Also, the strings added by some other “how to” step-by-each guides aren’t necessary (yet). Appreciated greatly. All went fine…now to see what we can do! I can open and mostly use the XFCE4 desktop usin XLAUNCH. This works great, thank you. On the newer Win 10 versions (as of Feb 2019) you download Ubantu from the Store rather than typing “bash” in at the command line. Otherwise everything else works.